Luther Ronzoni Vandross (April 20, 1951 - July 1, 2005) was an american soul and rnb singer whose career spanned four decades. In the 70s, he worked as a backing singer Chic and for David Bowie (on the Young Americans album). He later found success as a solo artist with Superstar and A House Is Not A Home. 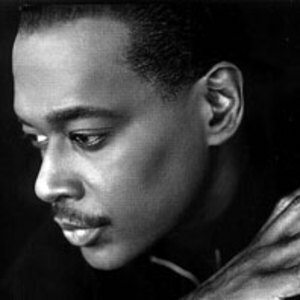 In the 80s, Vandross was a vocalist on early Change singles (Searching), whilst continuing his solo career with such releases as "Never Too Much", "Power Of Love/Love Power", "If Only For One Night", "Here And Now". In the 90s, he was more famous for duets with Janet Jackson and Mariah Carey (amongst others), than for his solo work. It was an ongoing battle with his weight that may have ultimately proved his undoing. He suffered a stroke in 2003, from which he never really recovered, and died in 2005. During his career, he sold 25 million albums and won eight Grammy awards including Best Male R&B Vocal Performance four times. He won four Grammy awards in 2004, including the Grammy Award for Song of the Year for the track "Dance With My Father," co-written with Richard Marx.